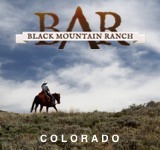 American Safari Ranch has been voted “Best in Colorado’s Horseback Rides,” and this is real horseback riding – no trails allowed. 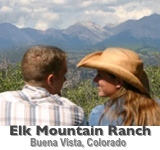 Located near Breckenridge and Denver, its close proximity to these popular Colorado towns ensures a vacation of all kinds. 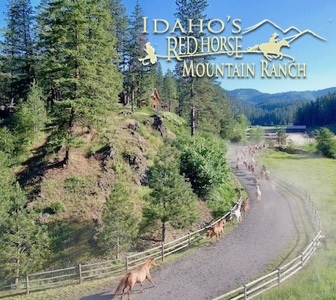 If you are looking for both the bustle of city life and peace of dude ranch living, this ranch can easily accommodate both. 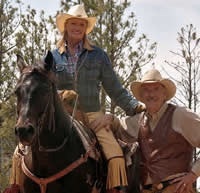 Free lessons and horses fit for all ages are available for riding starting at $40/hour. 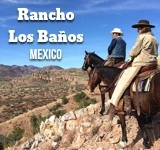 The ranch is built on an original homestead with cabins and an RV park. The Cowboy Saloon and Dance Hall are available to host large groups, so family reunions and weddings are encouraged to be held here. 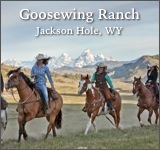 This 3,500 acre ranch sits at 9,000 feet above sea level and is home to moose, black bear, deer and elk. The Mosquito, Kenosho, and Tarryall mountain ranges are part of the view as well as 50 miles of visible Rocky territory. Accommodations vary from lodge rooms (2 double beds at $75/night), cabins (2 bedrooms with living room at $115/night), to their brand new hotel, The Riverside Inn which includes free breakfast, indoor pool, jacuzzi, and wi-fi. Whatever accommodation will suit you best is available, including rugged RV living. The Saloon, Bar and Restaurant can serve large groups with $10-$20 meals. Breakfast, lunch and dinner are served here. 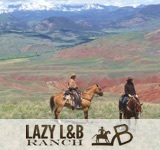 The entire ranch and facilities can be rented and the owners are willing to work with your budget.